You can practice using these tools on a daily basis to learn them before any stressful situations arise. Catherine is a Radio Show Host, Award-Winning Author, Speaker, and Spiritual Guide. She helps people feel better with her positive outlook and describing overcoming her own deep depression. She is an advocate for mental illness through her campaign “Brighten Your Day with Turquoise.” Turquoise, because it is a calming color which also helps us think clearly. She helps people realize they can do anything if they put their minds to it and understand how to live with illness and have a normal life. 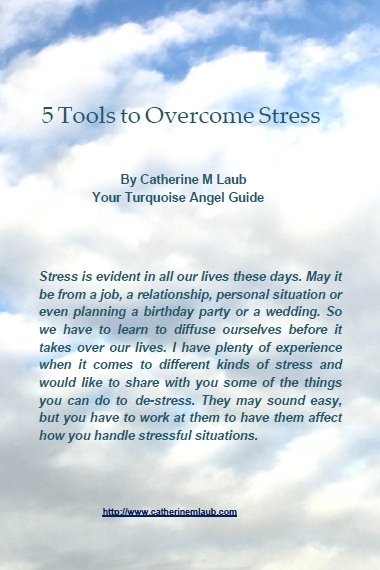 Catherine’s message is that you are not alone and there is a support system waiting for you. Catherine strives to be an inspiration to all and to make the world a better place through her love for others.